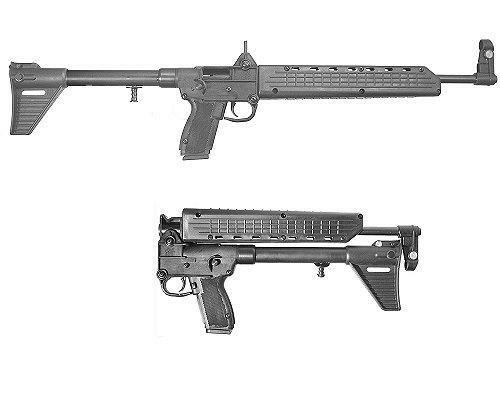 SUB 2000 rifle is a self loading carbine for pistol cartridges. 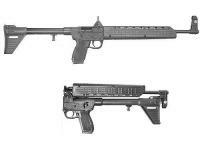 Different versions of the SUB-2000 will accept most modern handgun magazines, S&W, Glock, Keltec, Sig or Beretta. By rotating the barrel upwards and back, the SUB-2000 can be reduced to a size of 16"x7" to facilitate secure storage. The SUB-2000 also features an internal keyed deployment lock.